My name is Rosanna and I am 8 years old. 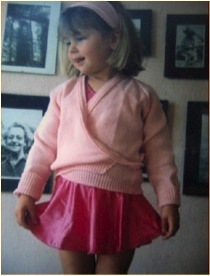 I have been going to the Wimbledon Village School of ballet since I was 3. I really enjoy coming because the teachers are very nice and I've made lots of good friends, we work hard and do exams but we have fun too. 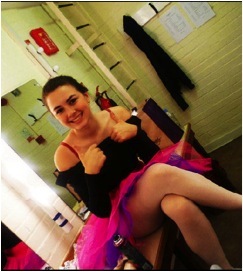 I particularly enjoyed dancing in The Sleeping Beauty show last year, because I really love performing. I started ballet at the age of four and having been doing lessons with Fiona on a Wednesday afternoon for as long as I can remember. I am nine now and still love dancing - I've recently started ballroom and Latin too. I performed in my ballet school's production of Sleeping Beauty last October, playing the young Prince. I was quite nervous, but it was good fun and really worth all the effort! My ballet teachers are kind and inspiring, always giving good advice for shows and exams. I'd say that ballet improves my posture, balance and core strength, and definitely helps with other sports I do, such as climbing, running and cycling. Boys who enjoy dancing and like a physical challenge should try ballet - it'll give you skills for life and will always be something you'll look back on and be proud of! 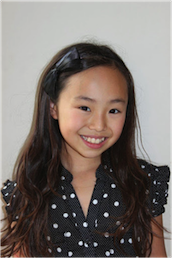 My name is Yuna Ohashi and I am 10 years old. I started ballet at the age of 3 but I only joined The Wimbledon Village School of Ballet at the age of 8 and I wished that I had joined earlier! I have learnt so much here and if I hadn't joined, I wouldn't have improved in my technique as much. Ever since I joined, I have been thrilled to take part in many shows including the professional pantomime at Epsom Playhouse last Christmas season. I have also successfully received a scholarship for the upcoming show performance of The Nutcracker with the English Youth Ballet at the New Wimbledon Theatre. This year, I will take part in the pantomime once again, and I am also going to perform in Alice in Wonderland, the ballet show this December for the school and am delighted to dance the part of the Knave of Hearts which I am exceptionally excited about. Last year, I passed my ISTD Standard 5 ballet with a Distinction which I am thrilled about. All these successes are all to my dance school and the teachers who taught me. I would like to thank all the teachers massively who were wonderfully supportive. I greatly appreciate the opportunities that I can perform that I would never have had if everyone hadn't supported and helped me. I started ballet at the age of 5 but only joined Wimbledon Village School of Ballet 3 years ago but have loved every single moment of it. Each lesson is incredibly enjoyable but very hard work, our classes our set out to teach the technical side of ballet but also the elegant beautiful aspect of Ballet. Since I joined the school I have seen myself progress an incredible amount which has finally paid off as I have had the most amazing opportunities to dance with Matthew Bourne's Company; Rebourne, in a 6 week Nutcracker Workshop, a place offered for Dance and Drama at Arts Educational School and have been Assistant Choreographer of my school productions. I was also awarded Dancer of the Year at my school's sports dinner which was the first award to be handed out for Dance. I passed my Grade 6 examination in January with a high Merit which I was overjoyed about. All of this was made possible through attending Wimbledon Village School of Ballet so I would like to thank Michelle and Fiona for the wonderful tuition and support. Wimbledon Village School of Ballet has taught me the discipline but beauty of ballet which I will take on board for the rest of my life in hope of becoming a professional. 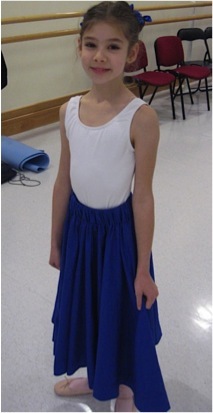 My name is Isabella Bardos and I have been with the Wimbledon Ballet School for a year and a half. I enjoy my weekly sessions with Michelle as she has been very supportive from the very beginning. I started training in rhythmic gymnastics at the age of three which I enjoyed very much. When I was seven, my coach suggested I continue with ballet.I was accepted at the Hungarian National Dance Academy where I trained until my family moved to England in 2010. I also study at the Royal Ballet School as a Junior Associate every Saturday which I enjoy very much. 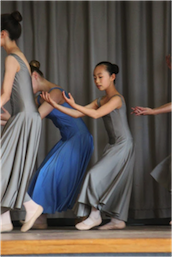 I am currently preparing to perform with the Royal Ballet School at White Lodge this coming June. I have been dancing at The Wimbledon Village School of Ballet for a couple of years now. Ballet is so much fun and it is making me strong which helps me with sports at school. Dancing also helps me with my acting and I am sure it helped me get a part in The Wizard of Oz Musical at the London Palladium last Summer when I played "a Munchkin" for 6 months! 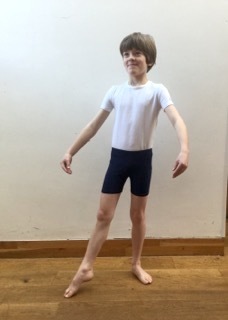 I recently took part in the "Ballet for Boys" classes run by London Children's Ballet, and was taught by a male dancer from the Royal Ballet Company. It was so much fun to be in a class with other boys! Over Christmas 2012 I was one of 3 boys who danced the lead role of the boy in the Birmingham Repertory's production of "The Snowman" at the Peacock Theatre, Holborn. I hope to dance the role again this Christmas! I have been dancing at The Wimbledon Village School of Ballet since I was 4 years old and I have loved every minute of it. I have danced in two shows at the school. The Four Seasons and The Nutcracker both of them were so much fun. I have tap and ballet lessons at my academic school in Cobham, and was awarded a dance scholarship when I was in year 6. Last year I was accepted onto the London Senior Ballet programme in Kings Cross, London where I train every Saturday. This is challenging but really enjoyable, the programme includes pilates (which is really hard) and pointe work (which I love). 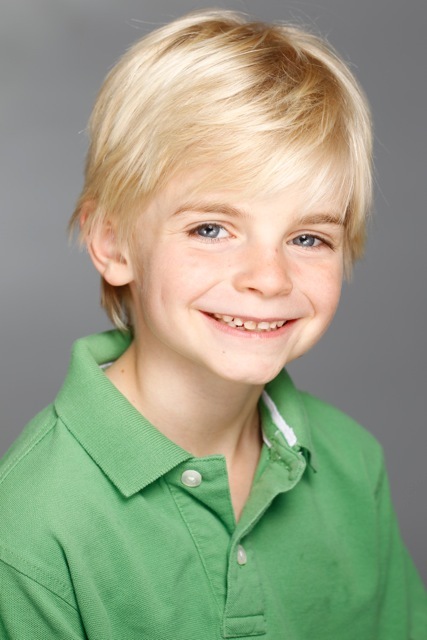 This year I have successfully auditioned for the London Children's Ballet and I will be performing in "The Little Princess" at the Peacock Theatre in London in April of this year. I was so excited to be chosen this time as it is the third year I have auditioned. I was also very lucky to be asked to a photo shoot for the Royal Academy of Dance and my photo appears in the new prospectus and their website.Michelle and Fiona are so supportive and I want to thank them for all their help and kindness. The Wimbledon Village Ballet School has become a huge part of my life as I started at the age of 3 and am now 17 and still attend every week. However my time is coming to an end as I will be starting University in October. I left the ballet school to attend boarding school for the last two years but it only lasted half a term as I missed it so much and managed to persuade my parents to drive me to and from my class every Thursday. I have had such an amazing time at the ballet school meeting some great people and especially all the shows I have been in; Alice in Wonderland, Sleeping Beauty, Four Seasons and the Nutcracker. I still have all my costumes, though I can’t fit into most of them. Michelle, Fiona and Rachel have all been inspiring teachers to me and I can't wait to continue dancing at University. 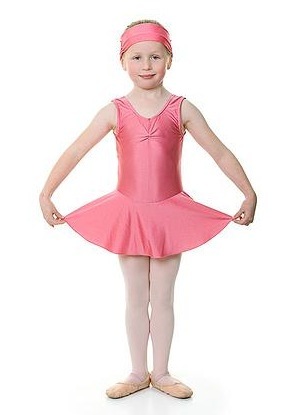 At my ballet class I love dancing to the music and wearing my pink leotard. I have learnt how to move gracefully and I love dancing with my friends. We have a wonderful teacher who shows us all the correct ballet moves. I started ballet at The Wimbledon Village School of Ballet when I was 4 years old. I like jumping and dancing and ballet is very good because it makes you strong and improves your sport. I had a lot of fun dancing in the performances of "The Four Seasons" ballet last year and enjoyed wearing the costumes and performing in a theatre. I think more boys should come to ballet as it is very exciting learning new steps and passing exams. I've attended the Wimbledon Village School of Ballet since I was three and I've enjoyed every minute of it. I was put through my paces when exam time commenced and due to the excellent technical training that I've received I managed to pass all the grades with honours. 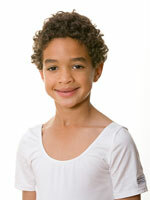 At Wimbledon Village School of Ballet all pupils are fully prepared resulting in many top grades and a 100% pass rate. The ballet school opened doors for me and gave me opportunities of a life-time. For instance not only was I put forward for London Children Ballet's auditions and later performed with them, but also for the Junior Associates at the Royal Ballet School. With the hard work of Michelle on my performance I was successful on my first attempt and danced at the Royal Ballet for two years. From here I went on to dance with The Kirov Opera at the Royal Opera House at Covent Garden. I was lucky enough to be part of the school's first ever show, 'The Nutcracker' in 1997 and in addition was fortunate and privileged enough to be given the role of Clara at the age of seven. After that I performed in 'Alice in Wonderland' as the White Rabbit and in 'Sleeping Beauty' as the Lilac Fairy, enjoying every show even more than the last. I am currently looking forward to playing the Spring Fairy in 'The Four Seasons' in October. Dancers here have the advantage of being accompanied by a pianist - who can give a lot more feeling than a tape recorder! On a final note the Wimbledon Village School of Ballet has not only taught me the core of all dance, given me confidence and control, but also has given me friends who I will cherish for the rest of my life. I started at the Wimbledon Village School of Ballet when I was four years old and attended classes with Mrs Stilwell first and then Michelle Townsend. I was taught many skills but above all I was taught to enjoy dancing. I took part in the performances of the Nutcraker, Alice in Wonderland, Sleeping Beauty and recently the Four Seasons as "the Summer Fairy". Over the years, I was enjoying dancing more and more, passed ISTD standard 6 and in 2005 I decided to attend ballet and jazz at the Royal Academy of Dance as well as in the Wimbledon Village School of Ballet. I love dancing and the discipline as well as all the excitement which goes into preparing for the next exam or the next show. In 2007 my family and I decided to move to Paris to enable me to carry on with my studies as well as my dancing. Since September '07 I have been studying at the Lycee Racine in the morning and in the afternoon I attend Jazz and modern classes at the International Institute of Jazz Rick Oddums and Ballet at the Chaptal Academy with Monique Arabian, a former danseuse etoile. Thanks to Mrs Stilwell's and Michelle's support and encouragement over the years, I am fulfilling my dream. 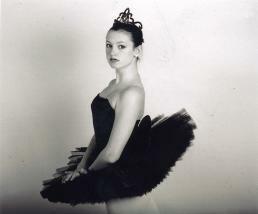 My name is Clarissa Fennell and I have been at the Wimbledon Village School of Ballet for 7 years. I am 14 years old and I am currently studying ISTD Intermediate Foundation. I really enjoy the classes with Michelle, and I have had her as a teacher since I began. I studied at The Royal Ballet School as a junior associate for 2 years and have been in two shows while at the school. The first was "The Sleeping Beauty" in which I danced the role of the "Good fairy". The most recent show was the "Four Seasons". I danced the role of the "Autumn fairy", one of the birds, and the "Winter fairy solo". Being part of this show was a great experience and a lot of fun. My goal is to reach grade eight ballet and keep improving my skills in dancing. My most opportune time in the school came as I grew into a good enough dancer to take my ISTD Standard 8, fortunate enough to choreograph my own dance for the examination, and luckily achieving honors at the end of it! As I faced the growing pressures of GCSE's and schoolwork however, the best aspect of the classes was to escape the stresses of the school week at our Saturday morning class, where I enjoyed an amazing atmosphere with Michelle and my co-dancers, with whom I became very close. Leaving the class was a difficult decision to make, based on the fact that I was moving to a boarding school with high academic demands. I look back on my time there with a lot of joy and nostalgia.